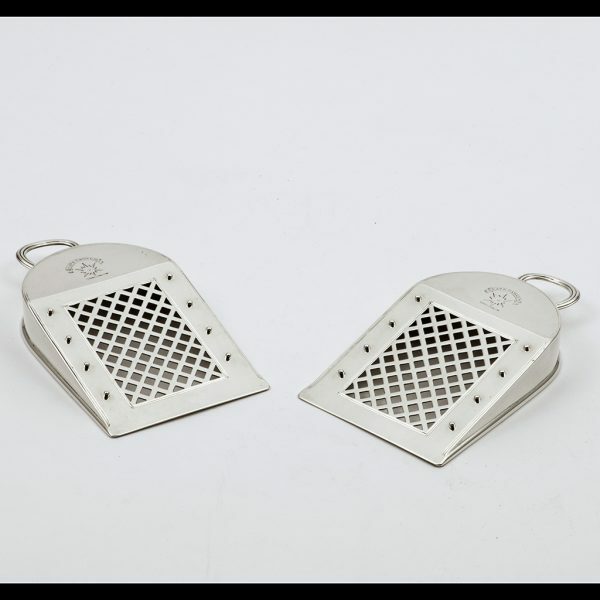 An unusual pair of George III silver Dish Wedges. A pair of George III silver Dish Wedges of an unusual pierced pattern with reeded handles, London 1792, by Michael Plummer. 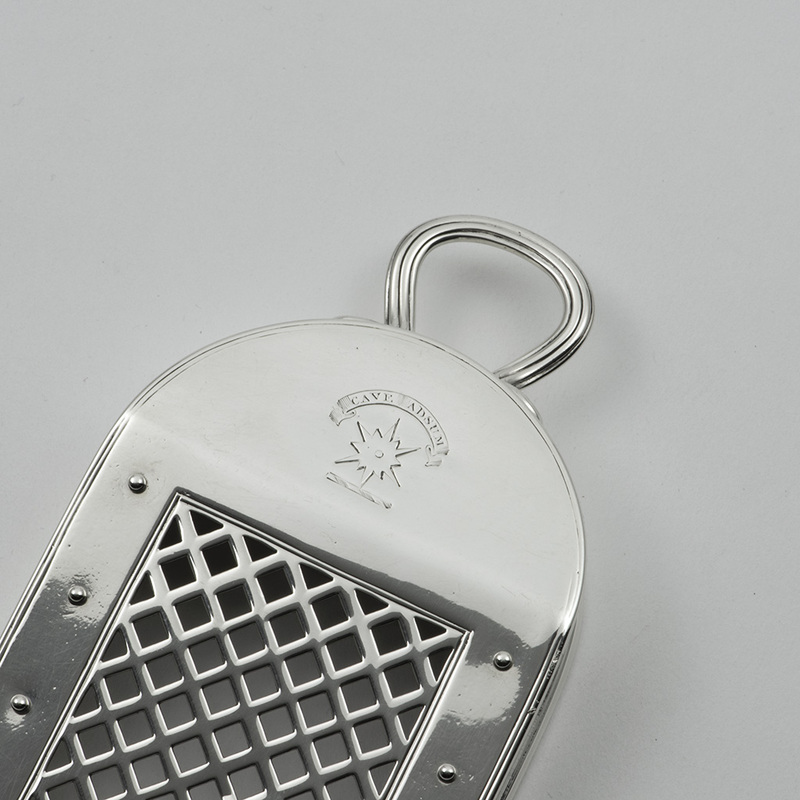 Engraved with a contemporary family crest and motto for Clan Jardine. 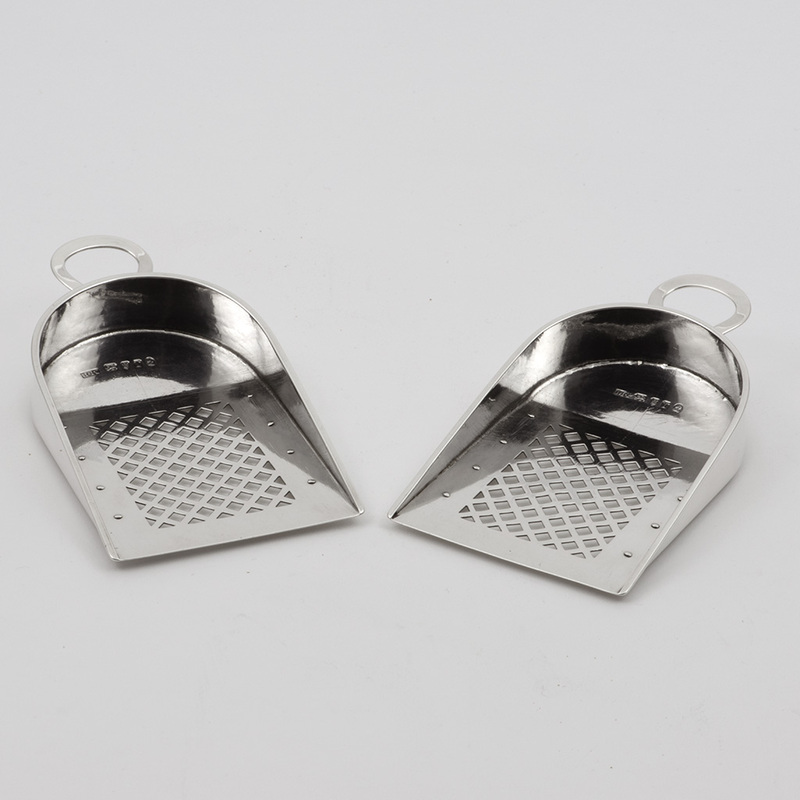 These wedges were used with meat dishes to allow any gravy to flow to one side of the dish. Good with some wear to the crests. Length – 14 cm. ; Width – 7.40 cm. 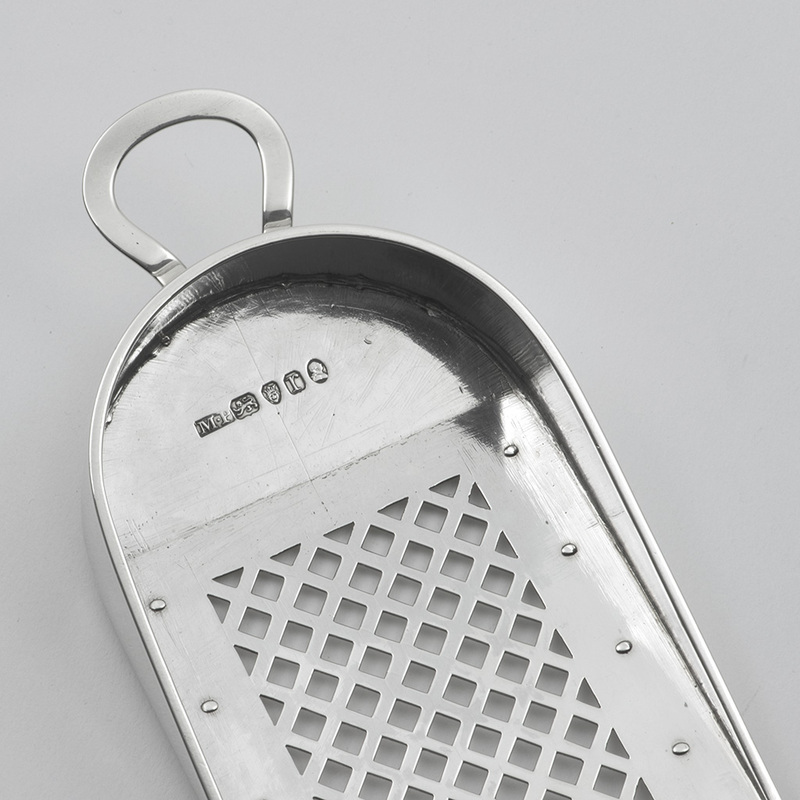 ; Depth – 2.20 cm. ; Weight of the pair – 176.30 gms. 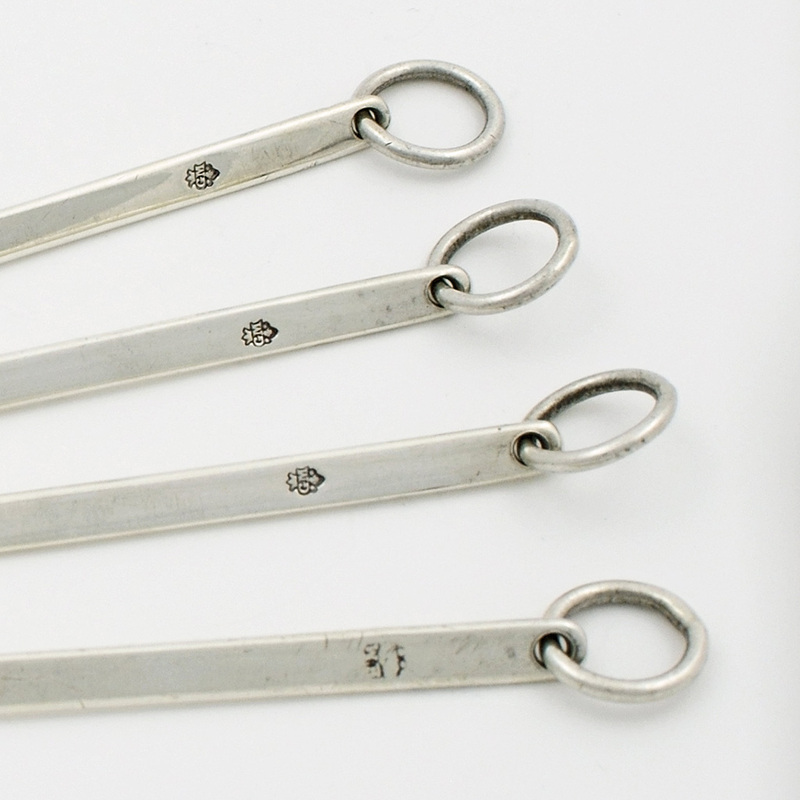 A Set of 18th century French silver Game Skewers. 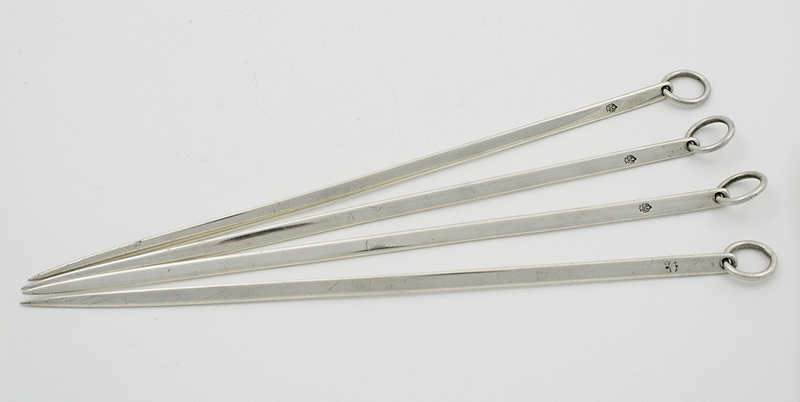 Send Enquiry for A Set of 18th century French silver Game Skewers. 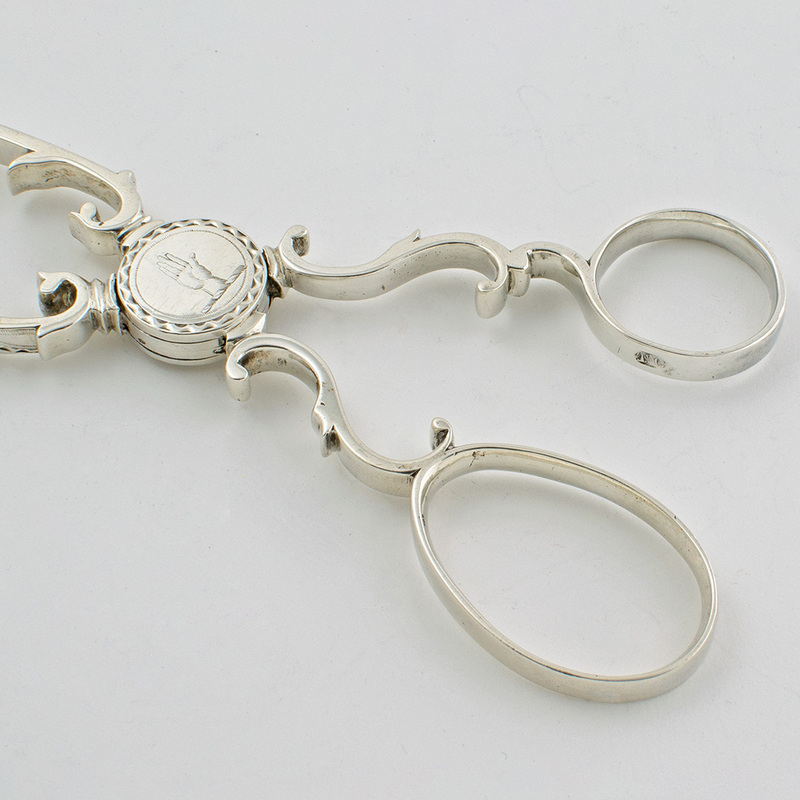 A pair of George III scissor form Asparagus serving tongs. 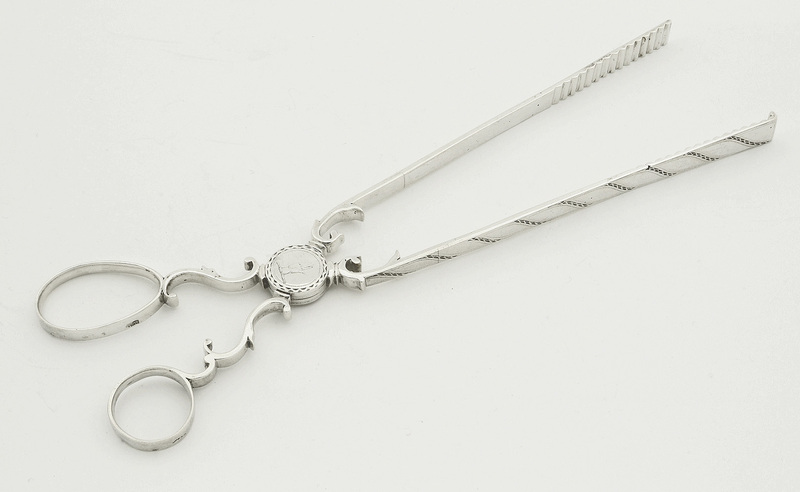 Send Enquiry for A pair of George III scissor form Asparagus serving tongs. 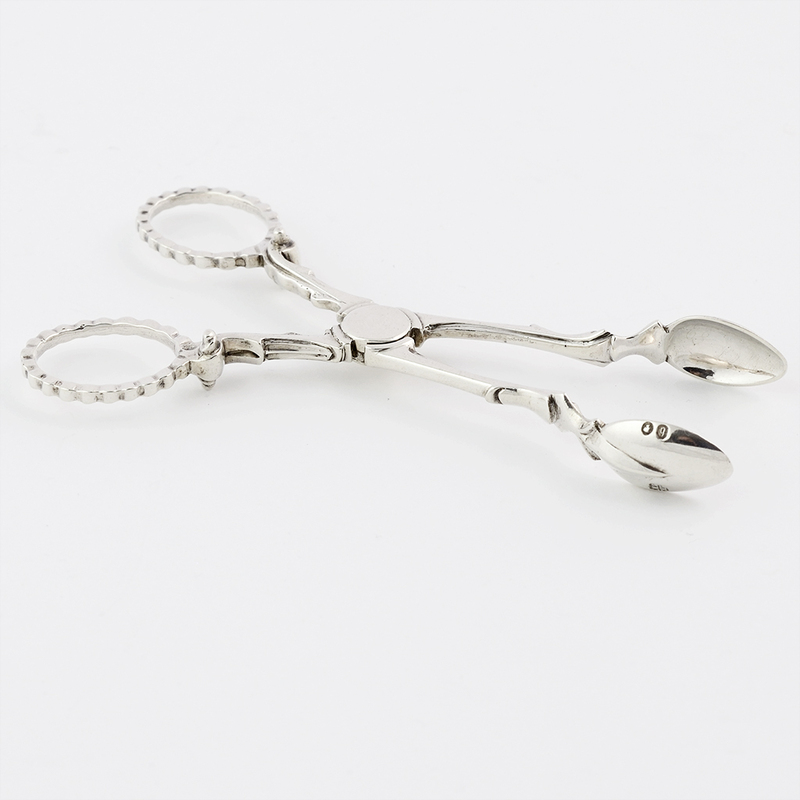 A pair of Victorian silver Sugar Nippers. 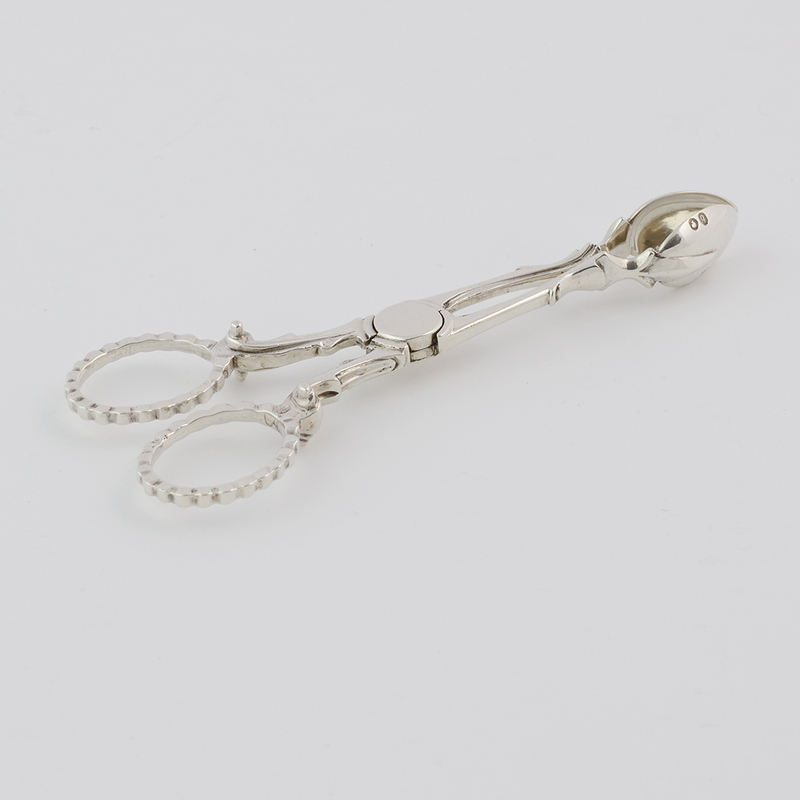 Send Enquiry for A pair of Victorian silver Sugar Nippers. previous post: A George II miniature silver Tumbler. 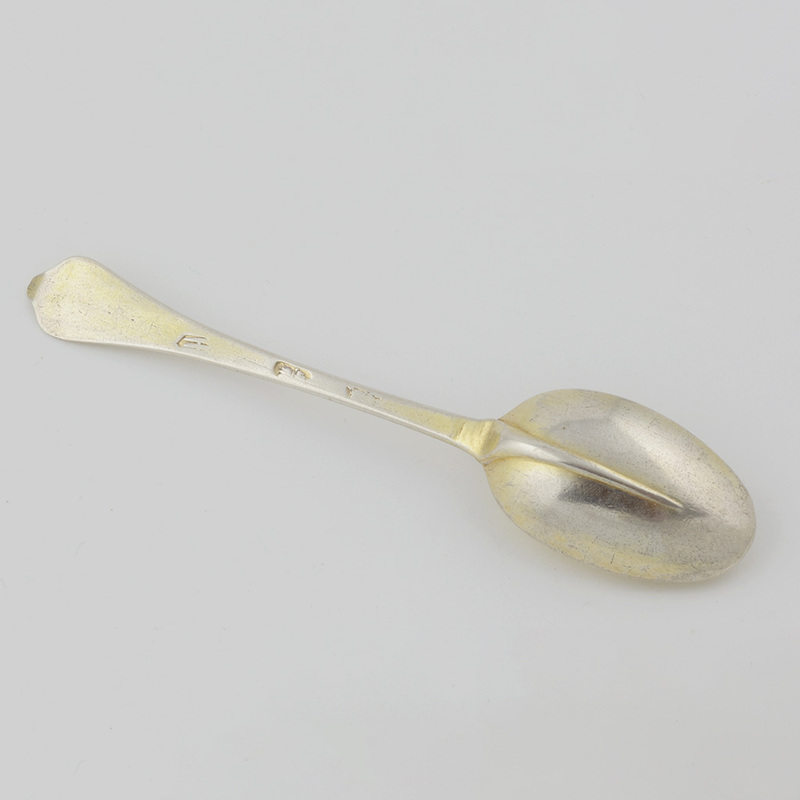 next post: A Victorian silver-gilt Serving Spoon.